Most employees now walk around with a "computer" in their pocket that keeps them connected with both the world around them, and the office, 24/7. 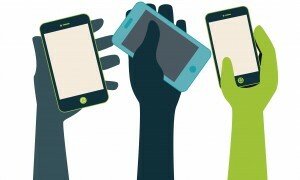 Inevitably, these smartphones and tablets are used for work and work-related communication. As a result, companies large and small are being forced to decide whether to supply employees with a company-owned device or give them access to company information on their personal devices—known as BYOD or Bring Your Own Device. In May of 2013, Spiceworks surveyed small and medium-sized businesses (SMBs). They found then that 61% of SMBs had already implemented a BYOD policy or initiative for employee-owned smartphones, tablets, or computers and the trend is definitively toward increased BYOD adoption, not away from it. Still, before hopping on the bandwagon, it makes sense to weigh the pros and cons—after all, while BYOD policies offer many advantages, they also come with some potential risks. 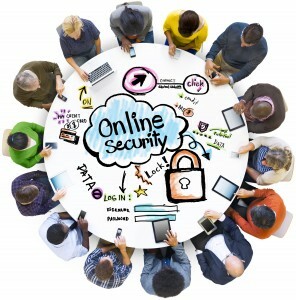 A study done by Centrify (which, it should be noted, provides Unified Identity Services), showed that on average more than 15% of enterprise employees have had their personal account or password compromised and 43% have accessed sensitive corporate data on their personal device while on an unsecured network, such as at the airport or coffee shop. Oh, and what if they were to lose their phone? The survey showed that 32% would rather contract the flu or go on vacation with their mother-in-law than tell their boss they'd lost their phone. If employees need access to potentially sensitive data, whether it's customer names and contact information or the ability to take credit card payments via their phones, a company interested in doing a BYOD plan should know it's worth it to do some pre-planning to eliminate or minimize those risks. Offering a stipend or covering a portion (or all of) employee's monthly phone plan can often convince employees to agree to security enhancing policies. For example, such a policy might stipulate that if the phone is lost or stolen, your company has the right to wipe the phone (including personal data, like photos and music). You should review who will be allowed to access company information from their personal device and what information they'll be accessing. Limiting access to those who actually need it will help keep information safe while also reducing operating and hardware costs. Once the company has decided who has access, it needs a plan for what will happen should one of your people quit, or should they be fired. The number one concern employees have when it comes to BYOD policies is privacy—which makes sense, especially once you start talking about the right to access or to wipe the info on the device. Employees worry that since you've installed security applications, you will monitor their "personal" activities. So if you want employees to comply with company security rules and policies, earning their trust is key — and that means education. You'll need to be completely transparent about what you will and will not be able to see. It's also often a good idea to review basic security best practices (such as the importance of updating passwords periodically). While a BYOD policy might require you to re-think some of your existing company-wide policies and create new ones, such policies also come with serious benefits. Increased productivity. A BYOD policy can increase productivity as much as an extra 37 minutes per week per employee, according to a recent Cisco study. BYOD policies also tend to allow employees to use better hardware than you might be able to (or want to) afford otherwise. Lower costs. Contrary to expectations, many companies have found BYOD policies, despite increasing the diversity of devices used, actually reduces IT overhead and troubleshooting costs. Perhaps because employees are already familiar with the device or because it's actually a better device. In addition to employee familiarity with their devices, allowing them to bring their own means less hardware to purchase for the company. That means, when done right, BYOD can be a big win-win for both you and your team. Do you offer your employees a company-issued device or do you have a BYOD policy? Let us know in the comments.